1. In a sauce pan, add cherries and rum. Whisk together cornstarch and sugar in a separate bowl and then add to the cherries in the pan. Add water and cook over low heat until the cherries come to a boil and the sauce thickens. The sauce should be thick and transparent. It should take roughly 10 minutes or less. And the fruit should be tender if using fresh cherries. 2. Transfer to a bowl and allow to cool completely. You can even store the compote for future use. It lasts upto a week in refrigerator. 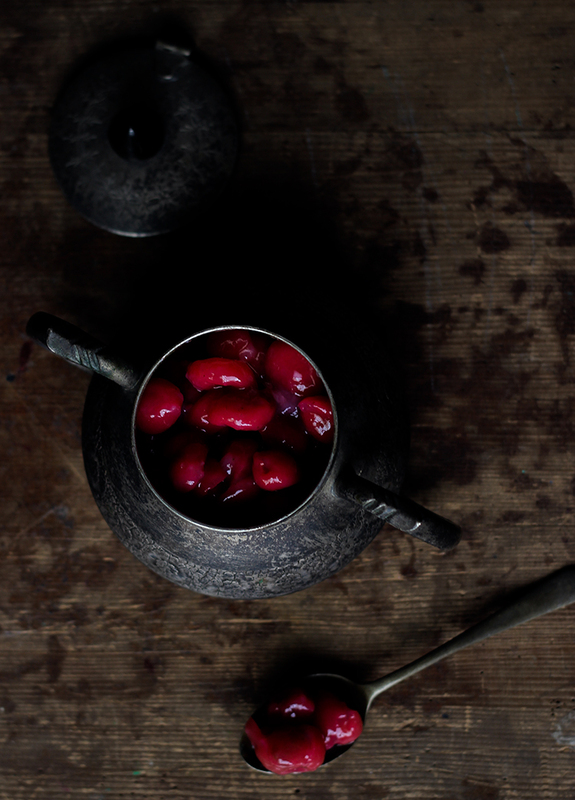 You may need to adjust water basis on how much time it takes to cook cherries as well as thickening. Indian local cherries are not so red. They are more on tart flavour than sweet.